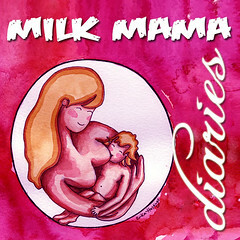 Welcome to the Milk Mama Diaries Carnival (September). For this month, we will tackle milk sharing and how it can nurture the community, and how this spirit of giving can be sustained. Participants will share their thoughts, experiences, hopes and suggestions on the topic. Please scroll down to the end of the post to see the list of carnival entries. Wet nursing has been in existence for several centuries. I previously wrote about a UK TV show which talked about other people's breastmilk. Locally, milk sharing is done through milk banks or mother to mother donations. And of course, we have all heard of Salma Hayek breastfeeding another baby. Dear readers, sorry that it has taken me more than a month after the awarding to write a Thank You post to Sangobion. First of all, I would like to thank Sangobion and Smart Parenting for choosing my blog as among the Top Ten Finalists from among 50 blogs. 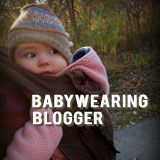 It is an honor to be considered as a top parenting blog. Thank you also to all my readers who voted and help me win third place! Since this was a voting contest (most votes win!) I couldn't have gotten to 3rd place without your support. One of the prizes given was a 16gb white iPad. It took me another month to open the iPad. You see, we previously had an IPAD (the first one). My daughter got addicted. It was difficult to set rules and she threw a tantrum whenever we asked her to stop using the IPAD. So we gave it away. IPAD2 came and I resisted the urge to purchase one. When the iPad was launched, again I wanted to buy one but remembered the tantrums and arguments so I resisted. When the contest was launched, I tried my luck and won the iPad. However, Stan and I decided to keep it first and asked N to show us that we could agree on the frequency of its use. We did this first by scheduling TV times and her use of Stan's Galaxy S. It was a month-long probation and happily she passed. 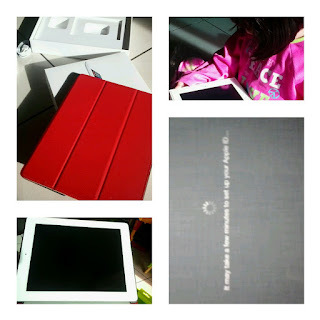 So last Sunday, we unboxed the iPad. So far so good, we have been able to follow rules. How about you? Do you have a tablet or a smartphone? How do you manage your kids' time on it? I previously shared with you how I admired Johnson & Johnson as a company especially when it comes to taking care of their employees. I am even happier to report that in contrast with other multinationals, J&J certainly lives up to their ethics - to listen to their consumers. So when their consumers raised their concerns about certain ingredients in their products, J&J took action and announced that they will reformulate their products. According to the Environmental Working Group, "Johnson & Johnson is the first major personal care products manufacturer to take such an important action in favor of its customers' safety." In fact, EWG has a petition to thank Johnson & Johnson for its action. I'd like to share this story from a breastfeeding mom who is also a medical doctor. Dr. Myla V. Custodio is a mother of 5 and is an endocrinologist. She is currently breastfeeding her youngest child. Being a medical doctor, I never bothered to research about breastfeeding until my 5th baby came. First, I'm an endocrinologist and I studied about hormones. I truly believed that it is only hormones that would affect milk supply. I never considered the law of supply and demand and its effects on milk supply. Secondly, I never had the luxury of a maternity leave. For all my 4 kids, once I could tolerate the postpartum pains, I was already out of the house and started doing my daily hospital rounds. I got so busy taking care of patients that I forgot that my babies need me more than anybody else. To compensate, I co-sleep and breastfed them to the best of my abilities (although with mix feeding). I also take care of them whenever I'm at home. It is time for another Milk Mama Diaries Blog Carnival. I apologize if my co-host Mec (Mec as Mom) and I have not been able to regularly host the carnival for the past 6 months. However, this is a perfect time to host a carnival as next week, September 24-30 is World Milksharing Week 2012. The theme is: Sharing Milk, Nurturing Community. I have previously written about donating breastmilk and its importance especially during emergencies and calamities. Milk banks are also constantly in need of donated milk to provide for the NICU babies who rely on them. For this carnival, Mec and I are inviting mom/dad bloggers to share their thoughts/experiences on and hopes for sharing milk. The carnival is also open to families who are milk recipients and would like to share their own experiences or challenges being a milk donee. Check out my previous carnival posts to get an idea of how the blog carnival works and how posts look like. 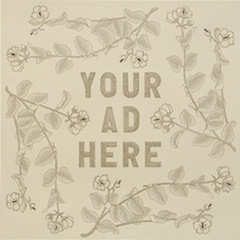 To join, please fill up the form here or below. The words pro-breastfeeding or breastfeeding advocate are being thrown about interchangeably. However, I think that there is a difference between them. Let me explain. Before we had kids, Stan and I had the luxury of traveling backpacker style. Our most memorable trip was when we traveled to Thailand, leaving Manila at 12mn on Egypt Air then staying at a dirt cheap hostel along Khao San Road. We also took a 10-hour land trip on dirt roads to Siem Reap, Cambodia. Our entire 2-week trip just cost us P30,000 pesos including air fare, food, lodging and transportation. Now, our travels are more carefully planned and budgeted as they now include our 2 kids (plus yaya, sometimes). Anyway, if you are thinking of going to Thailand, TIPCO Juice Philippines has an ongoing promo - Tripaway 2! 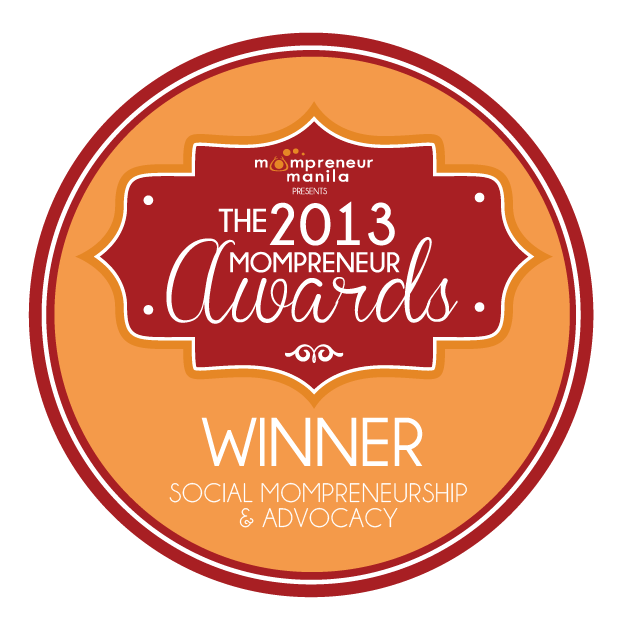 This was launched during the TIPCO event last July 21, 2012 which I missed due to very strong rains! 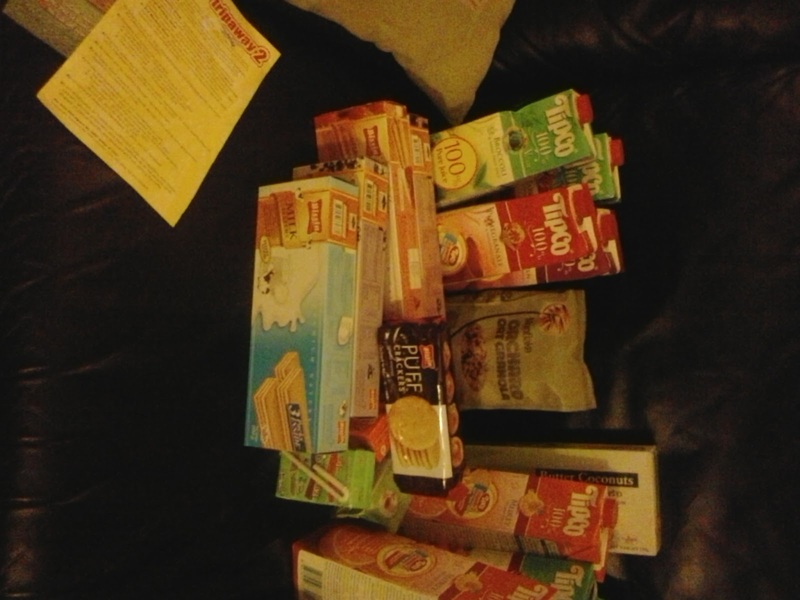 However, the local distributor Transaxion Unlimited was kind enough to still send me their press kit which included several TIPCO juices plus more! Tuesday, 4 September 2012 was a big day because it was the day when the Joint Committee of Health and Trade was going to vote on the draft substitute bill - or the Milk Monster Bill. 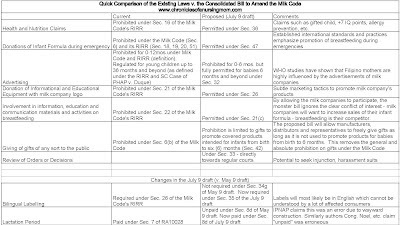 My previous 2-part posts on Decoding the Monster Bill referred to the May 2012 draft. Because of the uproar raised, the Technical Working Group quickly released a draft substitute bill on July 2012 which brought back the paid lactation breaks and mandatory bilingual labels in Filipino and English. 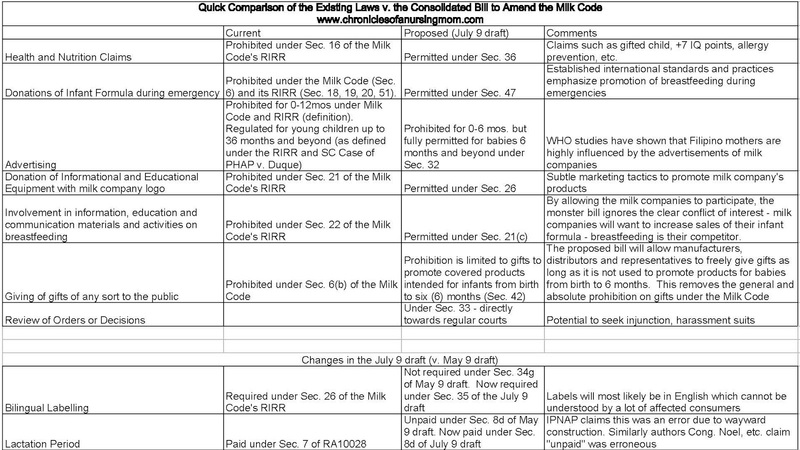 Refer to the picture below for a quick comparison of the changes proposed by the Milk Monster Bill. If you haven't yet, do like the Facebook Page so you will be updated about the campaign. After their Aqiva promotion, Wyeth is back at my daughter's school with a vengeance! 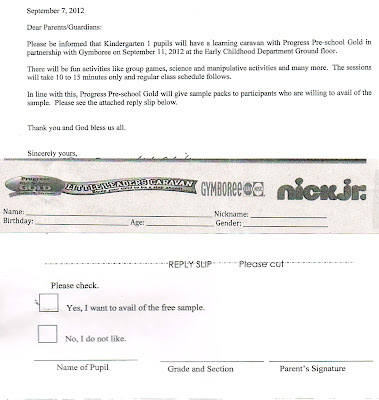 This time they are marketing "Progress Gold". 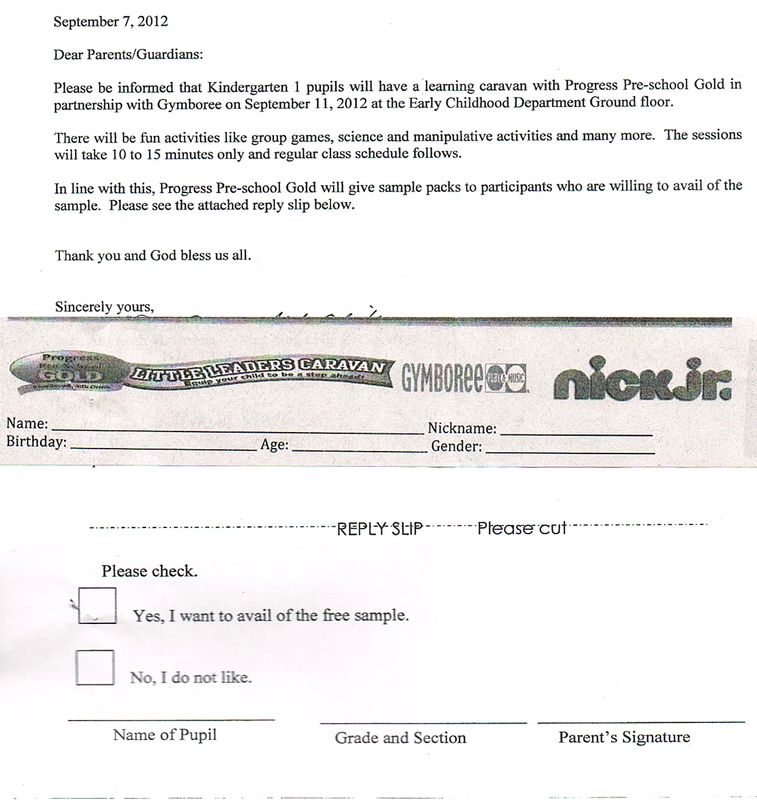 See the letter to parents below. What I hate about activities like this is that they involve my daughter's classmates. Wyeth has cleverly partnered with Gymboree and Nick Jr. and created activities for the kids DURING school hours. I am a strong-willed advocate and I am not afraid to speak my mind. But first and foremost, I am a mother and I am not a heartless mother. Much as I don't want my daughter to join this activity, how will I tell her to stay in the classroom while all her classmates go to the ground floor and have fun? N is a mature thinker but she is just 4.6 years old! I rarely do sponsored posts. In fact, I believe that this is my first sponsored post for this year. However, when I was approached by Nuffnang to share about Sun Life Financial's new campaign - Experience Sun Shorts, I immediately agreed. You see, the campaign talks about financial education and financial literacy - something which I really believed in and previously blogged about. My entire family are believers of insurance plans and we have benefited from it. In 2005, I had the opportunity to do my LL.M. or Master of Laws degree in Georgetown University in Washington, DC. My parents opted to fund my studies and we decided not to take a loan. Instead, we cashed out on one of our insurance policies and used the funds for my studies and living expenses. Remember my post before about the FNRI survey which showed an increase in breastfeeding rates? Well, a few things have cropped up which warrants a repost. to help promote and improve the nutrition and well-being of Filipinos by providing them with nutritious and safe food products that meet the highest standards of food safety and quality. In furtherance of this purpose, the Association shall partner with all stakeholders in sharing factual and science-based nutrition information relevant to the needs of the Filipinos. IPNAP was the number one mover against the Revised Implementing Rules and Regulations of the Milk Code back in 2007 and is now the number one support of the consolidated bill amending the Milk Code a.k.a. Milk Monster Bill.